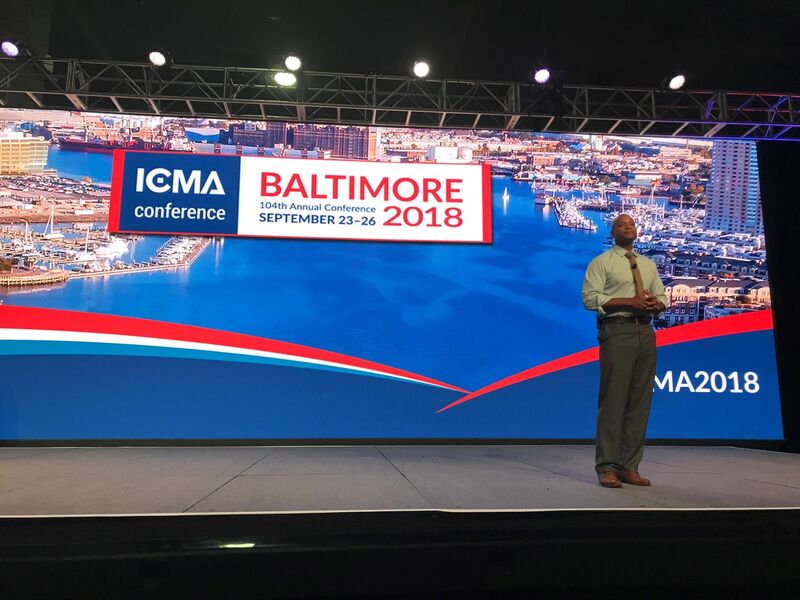 Watch Wes Moore's keynote through the 2018 ICMA Annual Conference Archives. On Wednesday morning, Baltimore native Wes Moore returned to the absorbing personal story that he first shared with conference attendees in Milwaukee back in 2011. Pulling from his 2010 New York Times best seller, The Other Wes Moore, Moore then discussed how educational opportunities, strong parental influence, mentors, and a community support network helped him transcend the fate of a man with the same name who lived just blocks away and took a tragically different path into a world of crime and eventually prison. Now, in addition to serving as CEO of New York City’s Robin Hood organization, the largest foundation with a sole focus on alleviating poverty; Moore chairs BridgeEdU, the organization he founded in 2014 to build “a better on-ramp to higher education and career preparedness” for students from marginalized populations. Unlike back in 2011, today’s important conversations, narratives, and priorities often get shifted and spun around, according to Moore. 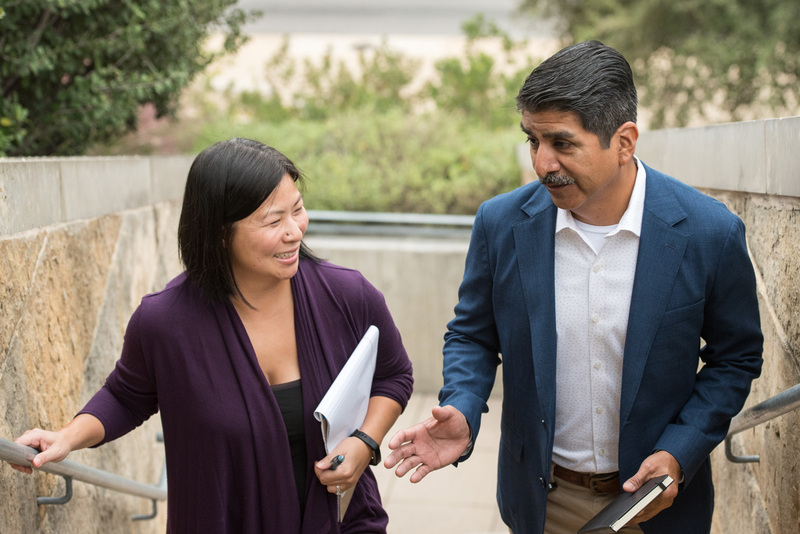 Despite those challenges, he praised ICMA members for their approach to their work, not as commitments that sway, but as long-term commitments that make a difference. Moore encouraged attendees, when thinking about their communities, to consider how they think about developing educational systems that prepare young people for the future, and housing policies that can grow real estate values without leaving some residents underserved. He asked “What kind of society are we going to foster? Who is it that we will choose to fight for?” This often means fighting for people who have traditionally been left out of the conversation. When considering titles, the publishers of Moore’s first book told him that it wasn’t about him and it wasn’t about just the singular “Other Wes Moore.” It was about ALL of the Wes Moores in ALL communities. These are the people who are one policy decision from taking the wrong path in life, which is why the decisions that community leaders make are so important. The Baltimore of 2018 is very different than the Baltimore in which Moore grew up. After a 25-year-old man was arrested, went into a coma, and then died, the city changed dramatically. Moore cited a police officer friend who asked him to go back and take yet another look at the video of Freddie Grey’s arrest, only this time, the police officer challenged his friend not to look at Freddie or the officers, but to look at everything else in the video. The neighborhood. The homes in the background. And the fact that at shortly after 8:00 a.m. in the morning, a number of people were on the streets to witness the arrest. Moore in turn challenged conference attendees to think about collective cities, collective growth, and how we can have a collective conversation about how our cities will move forward if only a sliver of the population is being thought about in the conversation. He noted that our long-term success will be determined by our short-term inclusion. Moore has only two memories of his father. The first was when his father enforced his mother’s house rule that men do not put their hands on a woman. When Moore retaliated against his older sister Nicky, who always picked on him, his father came into the room where Moore was hiding, put the young boy on his lap, and explained that his job was to protect his family and to never go after them. Moore’s father told his son that he had to apologize to his sister, but that he would go with him when he did as a show of support. Moore watched his father die a few months later, and his mother become a single parent with three kids to raise. The family moved to the South Bronx to live with Moore’s grandparents, and as soon as he arrived, he felt himself becoming lost. He got into trouble and felt the weight of his first set of handcuffs by age 11. He also learned that his mother meant what she said about sending him away if he continued to misbehave, and when he was 13, she sent him away to a military school in Pennsylvania. Moore ran away five times in the first four days, and it was his squad sergeant who taught him that despite his pain and anger at having been sent to military school, he was now part of something larger than himself, and that the only way they were all going to make it was collectively. From that day on, Moore understood what it meant to live in a completely interconnected ecosystem, where people helped each other rise together, and where there were never any accidents of birth. For the first time in his life, he felt free. “The places that we proudly call home are rooting for us,” Moore continued. “This is about how we create an oasis of freedom in which everyone understands that they can have hopes and dreams.” Moore acknowledged the difficulties of creating communities of inclusion in a world constrained not only by socioeconomic considerations but by societal environments. For many vulnerable residents, he noted, it may already be too late. Moore harked back to his military school squad sergeant, who gathered together the core cadets that he loved one Sunday evening in the school chapel to tell them that he was dying of cancer and had to leave the school. That night, he said something that Moore still remembers: “When it’s time for you to leave here [be it school, a job, or the planet), make sure that it mattered that you were ever here.” That was the last time the cadets ever saw their beloved sergeant. Moore closed his 2018 keynote address by challenging the ICMA conference audience to do something important while they were on the planet. “Let’s take those job descriptions out for a spin and push them out a little bit.” He concluded that he stood before them now because there were people who were willing to envision the environment in which he would grow up. He thanked the audience for building freedom places where all residents feel welcome. You can access this keynote presentation and 22 other ICMA 2018 Annual Conference sessions through the ICMA Virtual Annual Conference. Available on demand, it’s a great way to participate in educational sessions presented by knowledgeable speakers, and earn credits toward your ICMA-CM or AICP-CM without the cost of travel.